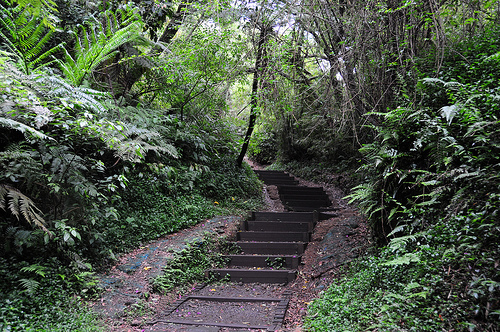 The Yangmingshan National Park is situated between Taipei City and parts of Taipei County. People go to this park to get away from the urban area and check out its cherry blossoms, hot springs, fumaroles, lakes and waterfalls. It is full of hiking trails that go through ridges, forests and valleys. The summit of Yangmingshan National Park is at Seven Star Mountain, which is an extinct volcano that has hot springs off to the side. A number of cultural sites and monuments are in this park, and some foreign diplomats live in its premises. Taipei’s Botanical Gardens consists of over 300,000 species of plants, trees and shrubs, and is situated in the southwest part of the city. The manicured flora of this park range from cacti to lotuses to bamboo to pine trees. There are many benches around these gardens so that people can zone out and relax. 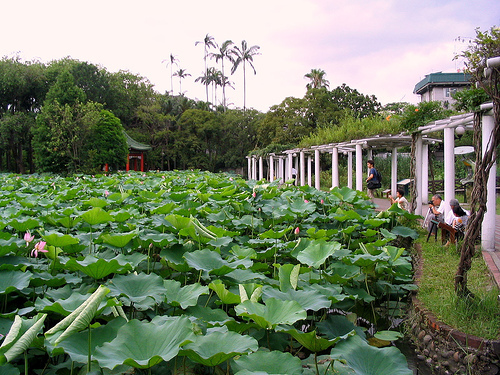 The Lin Family Gardens is located in Banchiao City, which is southwest of Taipei City. This place is noted to be the most traditional garden that exists in Northern Taiwan, and it was built between 1888 and 1893. There is also a traditional Chinese-style mansion within this park that has interesting windows and other architectural features. The 228 Peace Memorial Park is in the Zhongzheng district of Taipei City, and is a historical site that surrounds two museums. It was originally designed in the early 20th century by a Taiwanese architect, and was the first European-style park established in Taiwan. 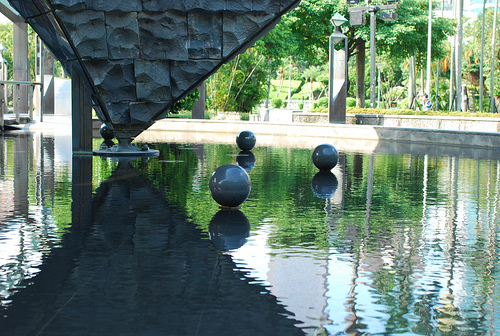 The 228 Peace Memorial Park today has ponds, monuments, exercise areas, pagodas and gardens. Jinbaoshan is a private cemetery that is also known as “Chin Pao San,” and is located in the town of Jinshan in Taipei County. 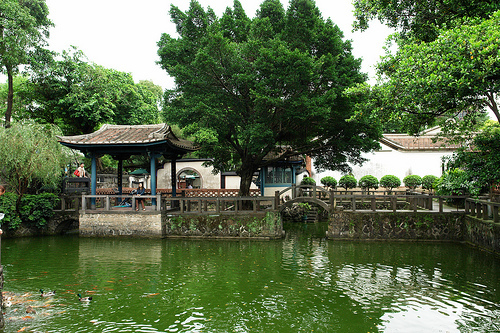 It is a cultural area full of art, and there are lots of sculptures mainly based around Buddhist and Taoist themes. 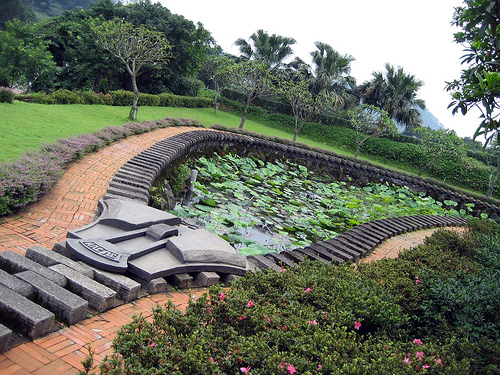 The Ju Ming Museum is also by this park, and there are views of the East China Sea. 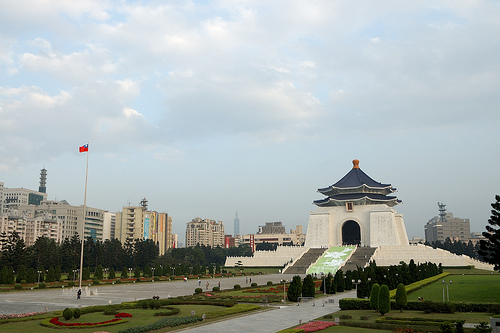 The National Taiwan Democracy Memorial Hall is constructed on a park grounds that is over 60 acres in size. It is a busy place all throughout the day, with people enjoying the landscaped scenery. The Memorial Hall itself is a museum; the National Theater and National Concert Hall are also within this park.